Vasya felt that colors spoke to him, making sounds that only he heard, sounds that could be translated onto canvas. But art was no substitute for an acceptable career like law for the elite. 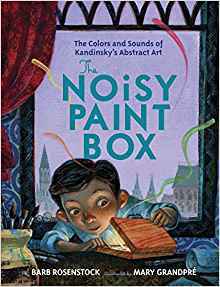 After attending an opera, Vasya knew his old noisy paint box that had been brought to life by the orchestra could not be ignored.